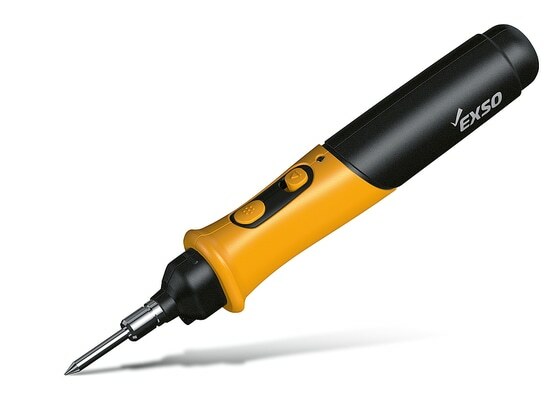 The cordless soldering iron EX-376P can be used in places with no electric power points nearby. The ergonomically shaped handle and the safety switch enable fatigue-free use. In contrast to similar models, the user does not have to keep the button pressed during operation. In order to activate and deactivate the soldering iron, the user simply slides one button into the “on” position and then briefly presses the operating button. 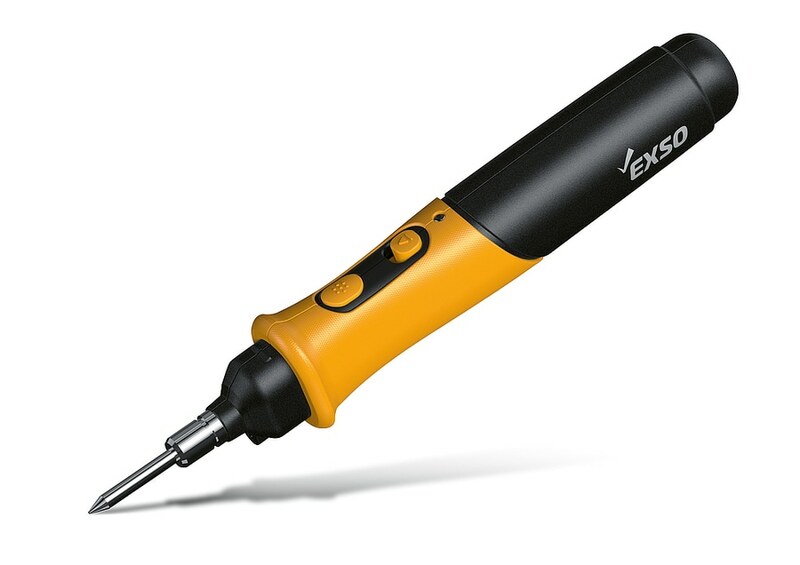 The elegant soldering iron EX-376P rests just as comfortably in the hand as a fountain pen. A clear focus is placed on the operating panel with its rich yellow hue.